The main subject of the meeting was the exploration of a common ground in understanding the potential of pilot plants as facilitators in introducing and further supporting innovative technologies in the manufacturing sector, aiming to strengthen and promote green manufacturing in particular. 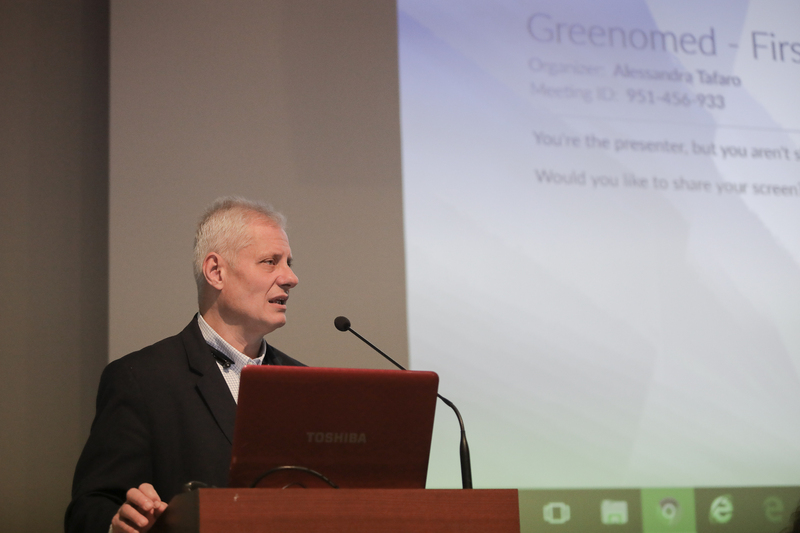 This in turn is the core objective of the European project “GREENOMED – Mediterranean Trans-regional Cooperation for Green Manufacturing Innovation”. 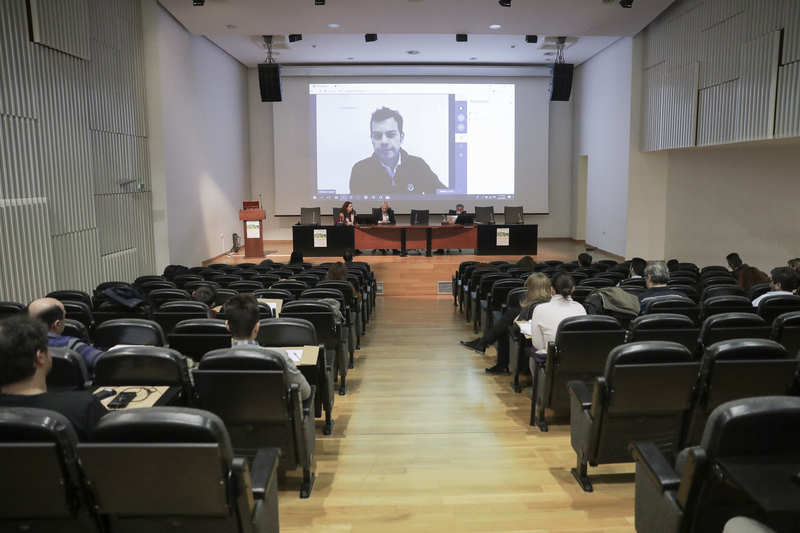 The meeting was held on February 20, 2018 in Thessaloniki, hosted by the Aristotle University’s Research Dissemination Center (KEDEA). 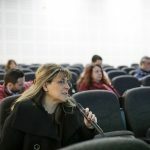 It was attended by representatives and executives from the industry and manufacturing sector in the Region of Central Macedonia, research institutions and Academia, policy makers, as well as representatives from innovation clusters at the local and regional level. 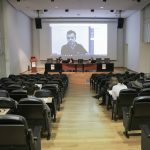 Professor G. Zalidis, Scientific Director of the Interbalkan Environment Center, stressed that the project’s goal is to transfer know-how towards the creation of living labs in the Region of Central Macedonia. 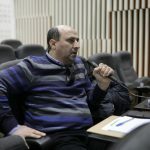 He further pointed out, that this will eventually help small and medium-sized enterprises in the Region to adopt innovative practices, that will lead them towards the integration of “green policies” by adopting knowledge, tools and processes for energy efficient production, securing low environmental impact through the deployment of advanced material production technologies. 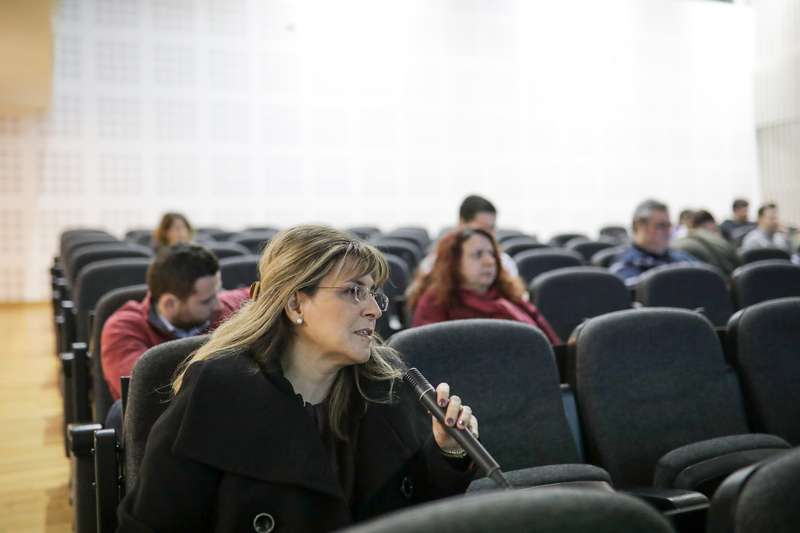 To this end, Professor Zalidis prompted all involved stakeholders to actively engage in a common path towards the development of the needed synergies and collaboration structures. 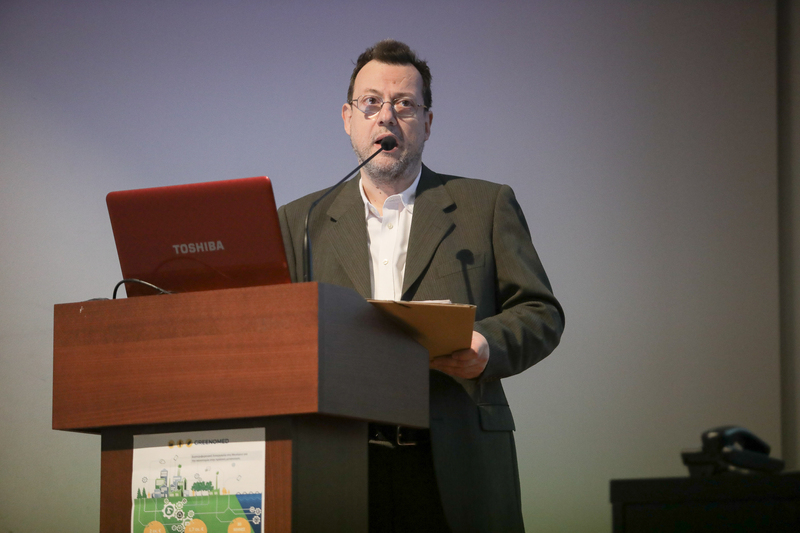 The Greenomed coordinator Mr. Giacomo Copani – representing the Institute of Industrial Technologies and Automation in Italy (ITIA) – presented to the attendants the philosophy and potential of the Vanguard Initiative, as well as selected successful practices and demo-cases as developed in the frame of Vanguard. 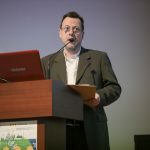 He pointed out, that Vanguard looks into furthering the exploitation of the established network among 30 European Regions, and most importantly, the opportunity for the European Regions to benefit from the knowledge and know-how already in place, to drive industrial and entrepreneurial innovation towards excellence at the regional level. 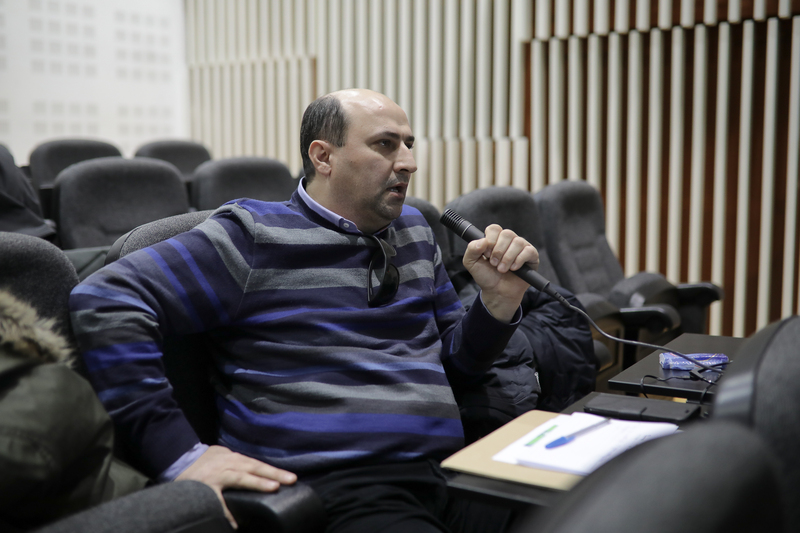 Mr. Copani further elaborated on the various benefits of the Greenomed process towards the formation of regional pilot plants, especially for the SMEs, as well as for all the stakeholders in manufacturing. Mr. Copani made extra mention of the networking opportunities facilitating synergies among companies across various industrial sectors at a trans-regional level. 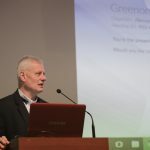 In this vein, he brought up concrete examples that offer access to know-how and innovative business models, which fully respond to challenges and needs as posed by the European Union’s Green Growth model, as coupled with Smart Specialisation at the regional level. 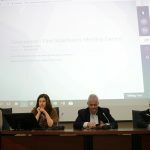 Last but not least, a roundtable epitomized the meeting, allowing the representatives of companies, the industry, the research world and Academia to explore potential initiatives and ideas that could be the building blocks of pilot plants in the Region of Central Macedonia. 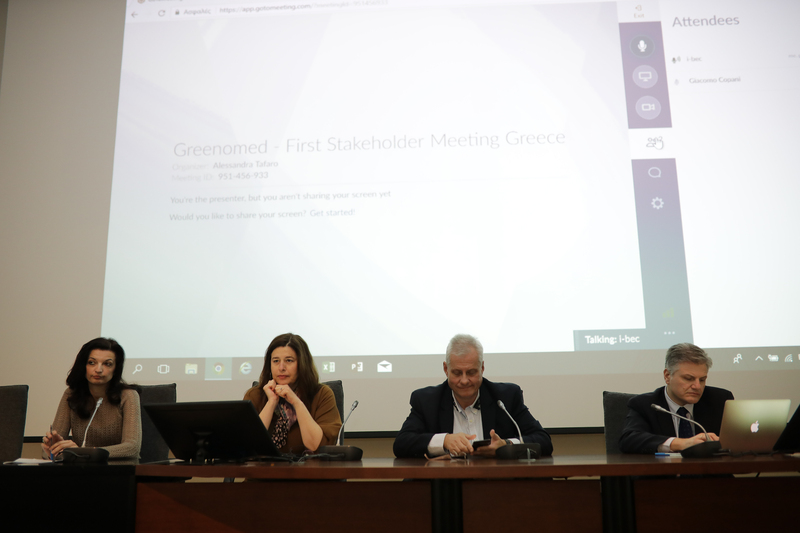 Challenges, communication gaps, strengths, weaknesses and opportunities have been identified and discussed, paving the way towards the development of the first Greenomed working groups under the guidance of the Greenomed partner, the Interbalkan Environment Center (i-BEC). 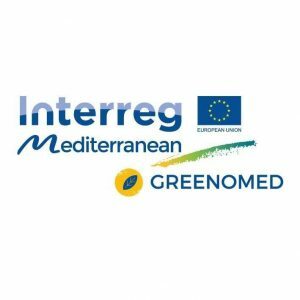 The project “GREENOMED – Mediterranean Trans-regional Cooperation for Green Manufacturing Innovation” is implemented in the frame of the Interreg-Mediterranean Programme and funded by the European Regional Development Fund.